The ‘four companions’ who first made their mark on Balochistan’s politics in the 1960s have all faded out. Ghaus Bakhsh Bizenjo died in 1989, stung by an electoral defeat inflicted on him by his own protégés. Akbar Bugti became a target of Pervez Musharraf’s wrath. Khair Bakhsh Marri, who devised his own distinctive style of politics, died unsung recently. The last star of this galaxy, Attaullah Mengal, has been living a private life in Karachi for years while his son, Akhtar Mengal, is taking his political legacy forward. 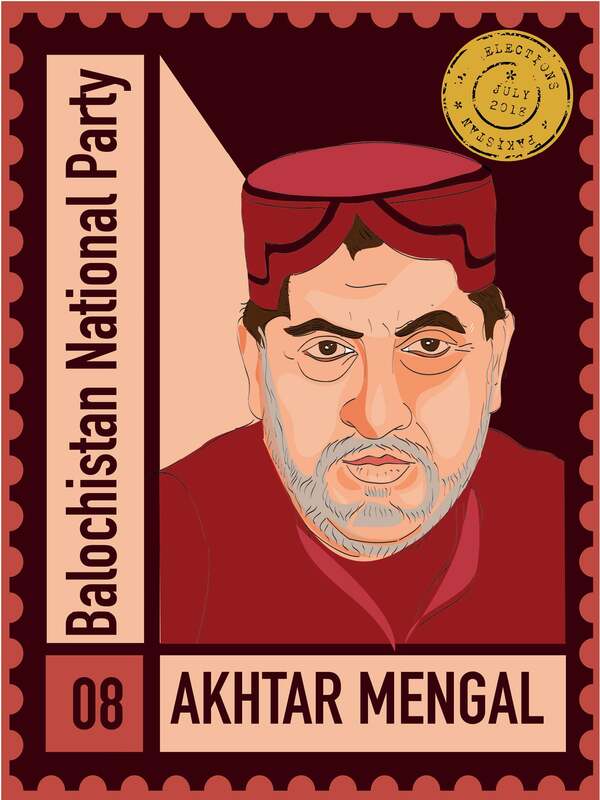 Akhtar Mengal leads his own faction of the Balochistan National Party (BNP) that was set up in the 1990s and claims it to be the largest political party in Balochistan. At 35, he became chief minister of Balochistan in 1997, having secured the post through a coalition agreement between his party, Bugti’s Jamhoori Watan Party (JWP) and the Jamiat Ulema-e-Islam-Fazal (JUIF). This agreement initiated him into the art of political give and take — a skill he is now utilising in the run-up to the election. Akhtar Mengal and his BNP won a lot of respect and credibility among the Baloch by quitting Parliament after Bugti’s assassination in a military operation in 2006. The subsequent hardships he faced from Musharraf’s regime must have tested his nerves but his steadfastness also secured him immense popularity. He, however, did not get the opportunity to turn his popularity into an electoral victory. 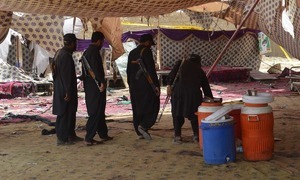 When elections were held in 2008, militancy and military operations were both raging in Balochistan. The Baloch nationalist parties, including BNP, had no option but to boycott the polls to avoid a negative reaction from the people. Akhtar Mengal spent most of the next five years abroad, even though a ‘kill and dump’ policy was being implemented in Balochistan all this while to punish those who championed the rights of the Baloch. BNP’s own secretary general Habib Jalib was assassinated in Quetta. Many other party leaders faced serious threats. Akhtar Mengal’s silence and his absence from Balochistan throughout this period caused a lot of distress to the people. 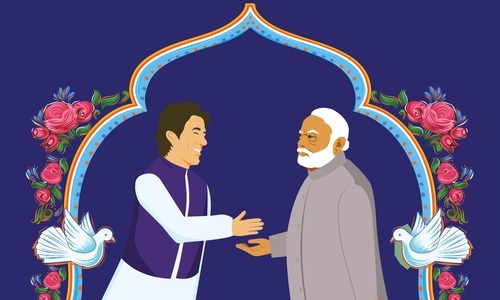 He still expected a warm welcome and an easy entry into power when he returned to Pakistan just before the 2013 election. The extensive media coverage, which his six demands for increased provincial autonomy received, also led him to falsely believe that he did not need to make any alliance or seat adjustment with any other party. Similarly, he did not pay much attention to the need for getting passage through the power corridors from the powers that be. Consequently, his party was able to secure only his provincial assembly seat besides winning a lone National Assembly seat — that too after cajoling and convincing the establishment a lot. He was effectively rendered ineffectual for another five years. Akhtar Mengal has entered the race for the 2018 polls with an aim to benefit from the lessons he has learnt in the past. While ostensibly maintaining an anti-establishment posture, he has formed an alliance with the JUIF, which has a history of collaborating with the establishment, and made a seat adjustment deal with the apparently secular Pakistan Peoples Party. Many of his party’s candidates have also withdrawn their nomination in the favour of the openly pro-establishment Balochistan Awami Party (BAP) that has just come into being. 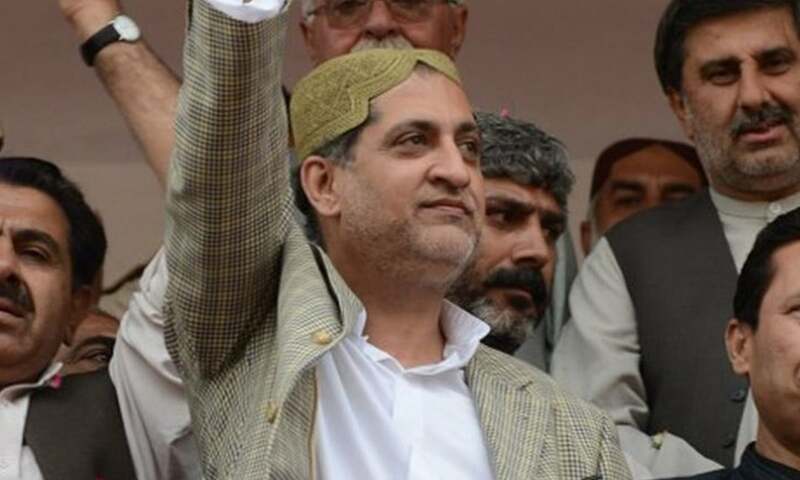 Many in Balochistan, therefore, believe that Akhtar Mengal is aiming at forming the next provincial government in coalition with JUIF and BAP. This is nothing out of the ordinary yet this may make it difficult for him to face and manage people’s reaction to it. He and his party enjoy large-scale popular support because of the fact that they have been out of power for two decades now. Their supporters include the members of a young generation that has not seen BNP’s previous government. They all want him to work as a strong opposition to the establishment — and not become a part of it. Akhtar Mengal’s electoral strategy, however, makes it clear that ideological politics has disappeared from Balochistan — as it has from the rest of Pakistan. He seems to have decided to come to power at any cost — even as an underling of the establishment. Power, however, may turn out to be a bed of thorns for him. If will certainly offer him no comfort. 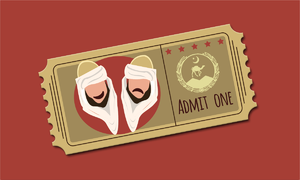 The writer is based in Quetta and also works as a journalist and a teacher. This was originally published in the July 2018 issue of the Herald. To read more, subscribe to the Herald in print. Spot on! The just signed an agreement with PTI. If you can’t beat em, join em.